Welcome to my house warming post! I’ve broken up a relationship that I’ve had for over a year. Parting really is such sweet sorrow, but it is something I felt I had to do. There were problems I just couldn’t fix, so here I am. I thought long and hard about this and it is for the best. 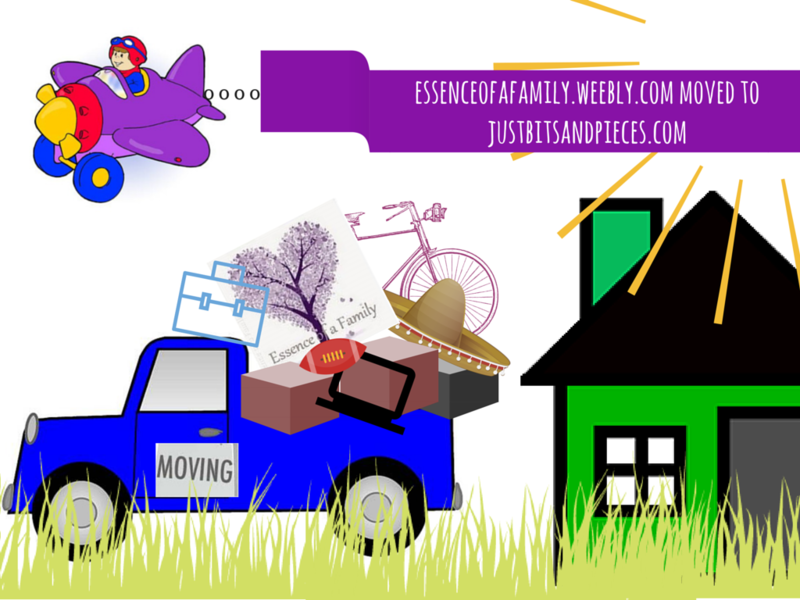 I’ve said good-bye to my old blog, Essence of a Family, and have started the process of building my blog here at Just Bits and Pieces. I hope you’ll join me on this ride! I’m super excited and can’t wait to get this all figured out. Oh Robyn! I enjoyed reading your last blog. Am sure your new one will be just as fab!!!! Hi Sarah! Thanks for stopping in. I hope this new blog will take off as well as the other one! Although I have been a bit overwhelmed and haven’t had time to write. I’ll get there though! Have fun. If you need any help all you have to do is ask! Thanks Sandy! I appreciate that because this is a lot different than what I’m use to! Congratulations, Robyn! I hope you find this new journey an exciting one! Thanks Corinne! I’m having a good time so far trying to figure everything out.